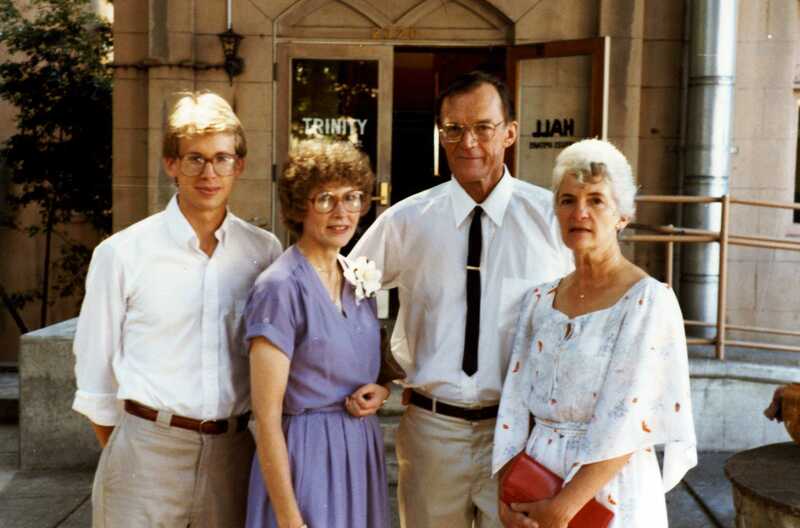 Here’s Mark, Mom, and Hank and Barbara Nelson. This was September 1984, in Berkeley. My first wedding.